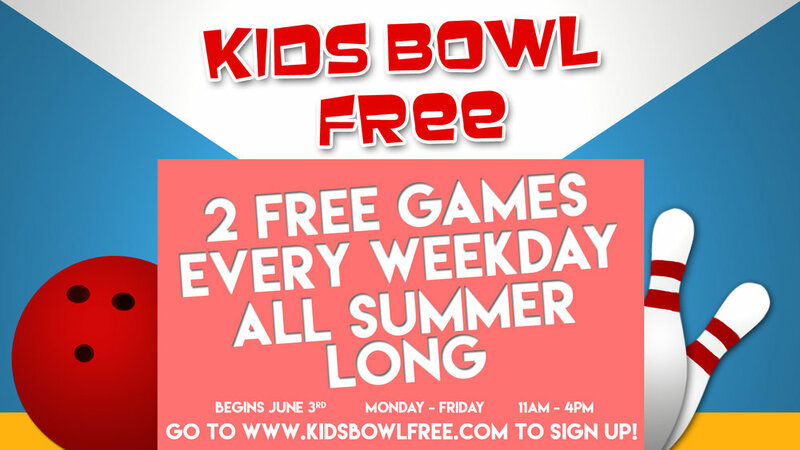 Temecula Lanes is participating in the Kids Bowl Free program. This program is designed to give back to our community and provide a safe, secure, and fun way for kids to spend time this summer. You can book our VIP room as an upgrade to the Kids Bowl Free program. Ask the front desk how to Bowl like a Vip this summer. Only good when lanes are available. No reservations accepted. PLEASE call ahead for lane availability. Lanes are available on a first come first serve basis. EXCLUDES GROUP BOWLING. EXCLUDES CLUBS OR CAMPS. Purchased Family Passes are valid for use only during posted Kids Bowl Free times and when bowling with a Kids Bowl Free child from your family.